Call us today at 856-269-4567! Welcome to Eulo Chiropractic Center, your source for conservative health and wellness care for Sewell, Turnersville, Williamstown, Blackwood and Glassboro. Our chiropractor, ;Dr. Christopher Eulo, has been helping people just like you recover from injuries, manage pain and enjoy better everyday health since 1993 -- and we can provide those same benefits for your entire family. Chiropractic adjustment can relieve acute neck pain, back pain, whiplash, sciatica and other musculoskeletal discomforts by correcting the underlying subluxation (joint misalignment) responsible for your discomfort. A precise series of manual thrusts can restore mobility to the joints and free pinched nerves, relieving symptoms such pain, numbness and tingling while allowing your whole body to function better. We can put you on the road to wellness through nutritional counseling. the right nutritional supplements can help you lose weight, detoxify tissues and boost your metabolism. A chronic condition requires an effective pain management strategy to help you enjoy optimal quality of life. Back pain, neck pain, migraines and headaches, sciatica and fibromyalgia can be treated with chiropractic adjustment and other safe, non-pharmaceutical forms of conservative care. 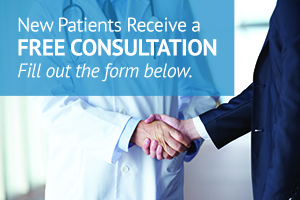 If you're looking for drug-free pain management, Eulo Chiropractic Center is the answer. If you drive for a living, you'll need to pass the New Jersey DOT exam each year to maintain your commercial driver's license. Dr. Eulo makes this process quick and easy by administering these exams right here at our clinic on a same-day basis whenever possible. Contact us for details on how to prepare for this exam. A sports injury may be an acute sprain or herniated disc, or it may be a long-brewing repetitive strain injury. We can diagnose the problem and develop a comprehensive rehabilitation plan using chiropractic care, massage therapy, physical therapy and other natural techniques to get you playing again and lower your risk of re-injury. Damage from an auto accident injury can include whiplash, sciatica, seat belt injuries, herniated discs and a variety of other musculoskeletal problems. Our Turnersville chiropractor can examine your spine to determine exactly where the injury lies, prescribing a combination of treatment methods to relieve symptoms and help you rehabilitate. 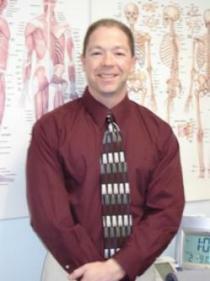 If you are seeking chiropractic care, Dr. Eulo looks forward to meeting with you and returning you to optimal health. Call 856-269-4567 for an initial consultation! Sign-up using the form or call us at 856-269-4567 to take advantage of this exclusive offer.